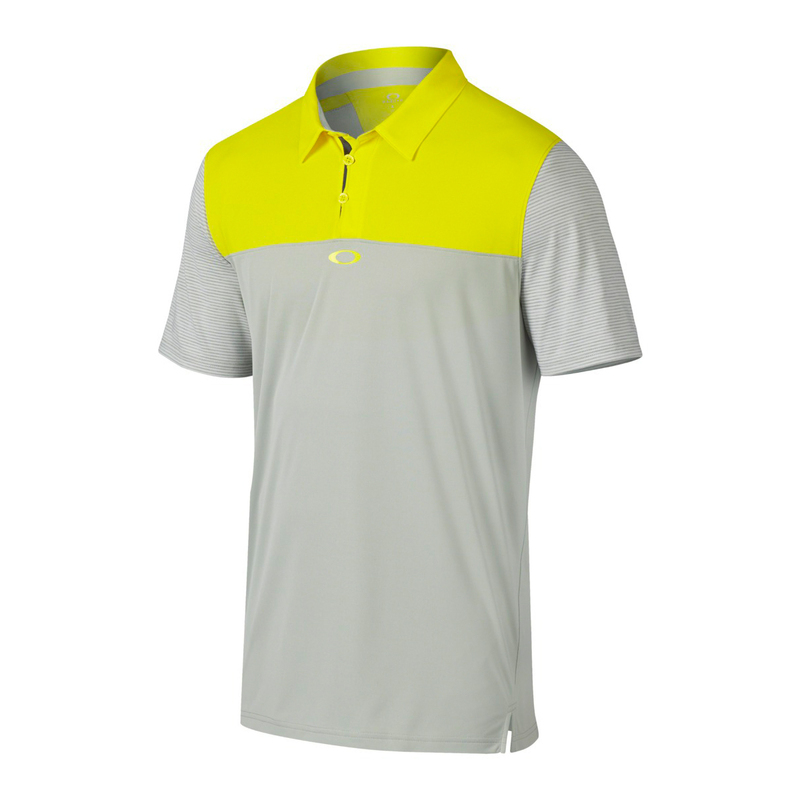 Feel comfortable and confident on the green with the Oakley Bubba Watson Alignment Polo , designed with moisture-wicking properties and a smooth touch. A unique cord placket and micro-stripe sleeves give a modern look, and rolled shoulder seams and vented sides promote a natural swing. Signed off with ellipse and bark logos, this Oakley golf Alignment Polo is an essential for the avid player.